El Trompillo Airport is located in the southern part of Santa Cruz, Bolivia, about 2 km away from the central plaza. Many improvements to the airport have been implemented to help increase the volume of traffic, some of which is now international. 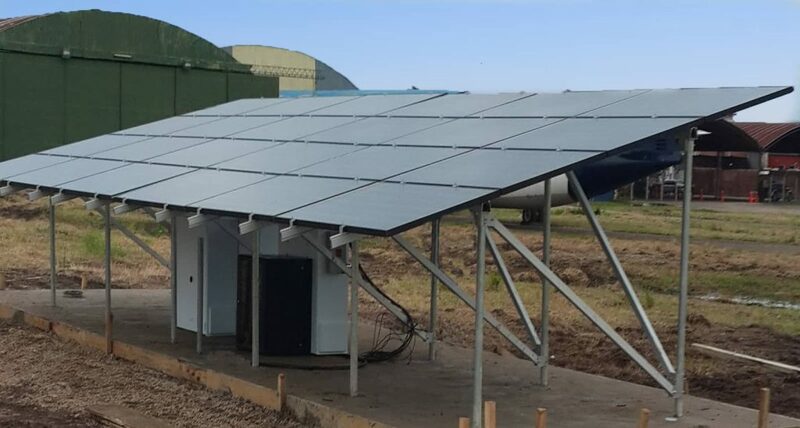 One of the key elements of the improvement program was to upgrade the runway lighting utilising modern technology, preferably powered from sustainable energy source. 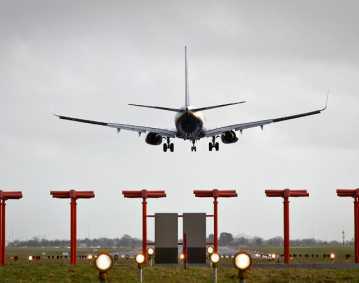 The airport had requested that the airfield ground lighting system would provide a level of brilliancy equivalent with medium intensity specifications. Using LED lighting would offer a significant reduction in the power requirement when compared to the incumbent system, and a further benefit would see a reduction in time spent maintaining the system. The lighting applications that were installed comprised of a runway edge circuits, runway end and threshold wingbar, all of which are elevated fixtures connected to two interleaved circuits powered from separate supplies. 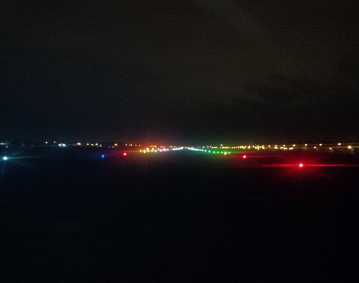 Furthermore, the lighting was complimented by the installation of an LED PAPI system, one for each runway heading. 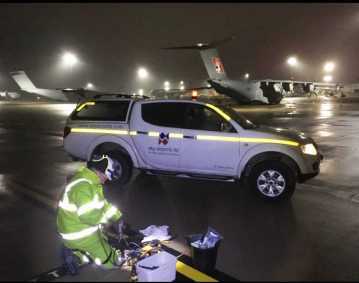 Conventional airfield ground lighting (AGL) systems are generally energized by constant current regulators (CCR’s) connected directly to a mains supply. 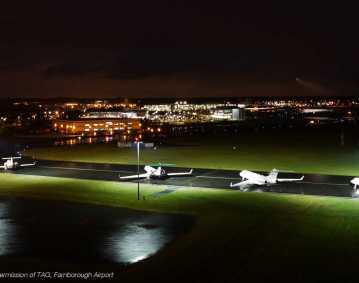 However, to provide a sustainable energy source, the complete runway lighting system was powered by two separate solar engines situated at either end of the airfield. The autonomy of the system would provide power to the lighting circuit for a minimum of 48 hours should there be insufficient solar activity to maintain the power needs. As a further redundancy measure, the system was also backed up by the general mains supply. Operation of the AGL system was extended to the air traffic control tower operating position. This allowed the user to switch the lighting remotely, on/off and through three stages of brilliancy. Alarms would also be indicated should there be an incorrect command of malfunction within the AGL system and power supplies.